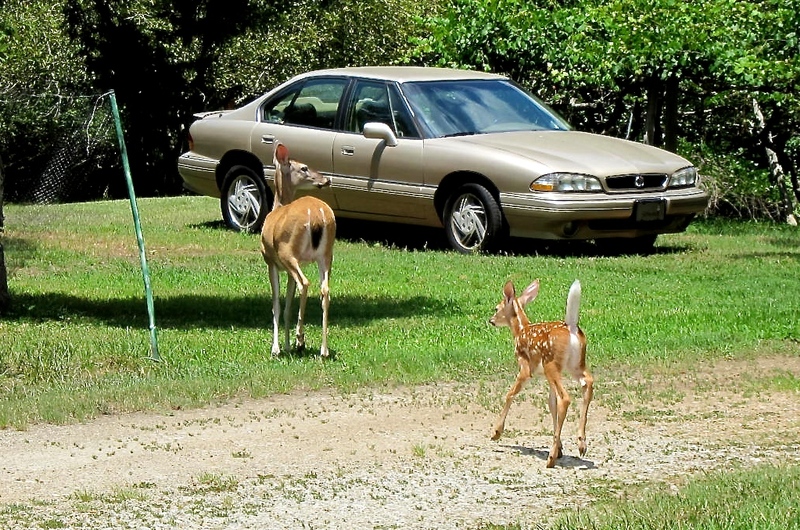 While out exploring the back roads over the 4th of July, H and I spied this deer and her fawn crossing through a neighborhood. I love surprises like this. What a cool surprise it was to see them!